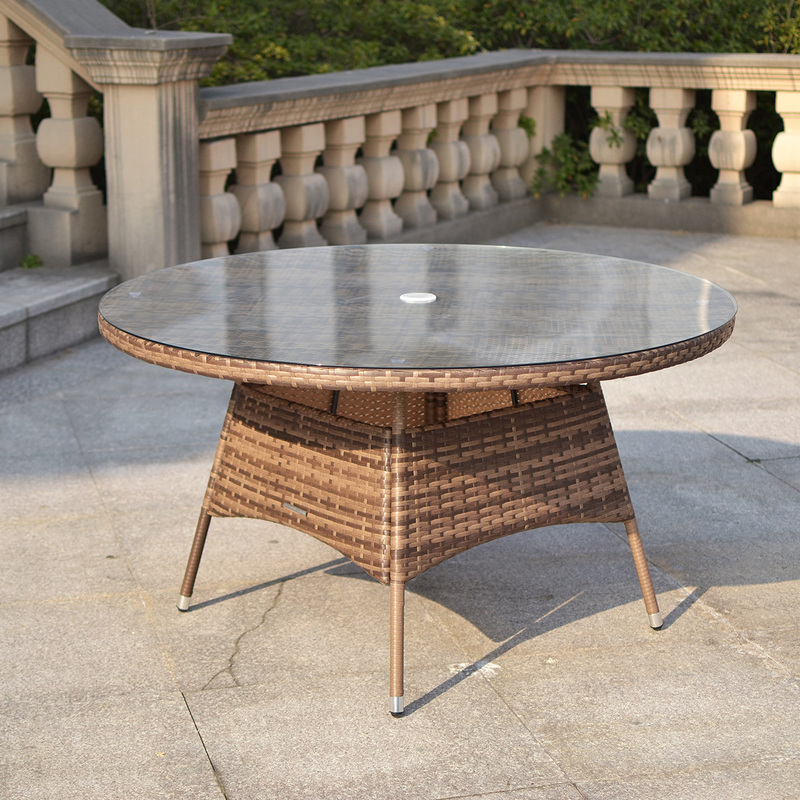 Add a stylish statement in any garden, with this large round rattan dining table. 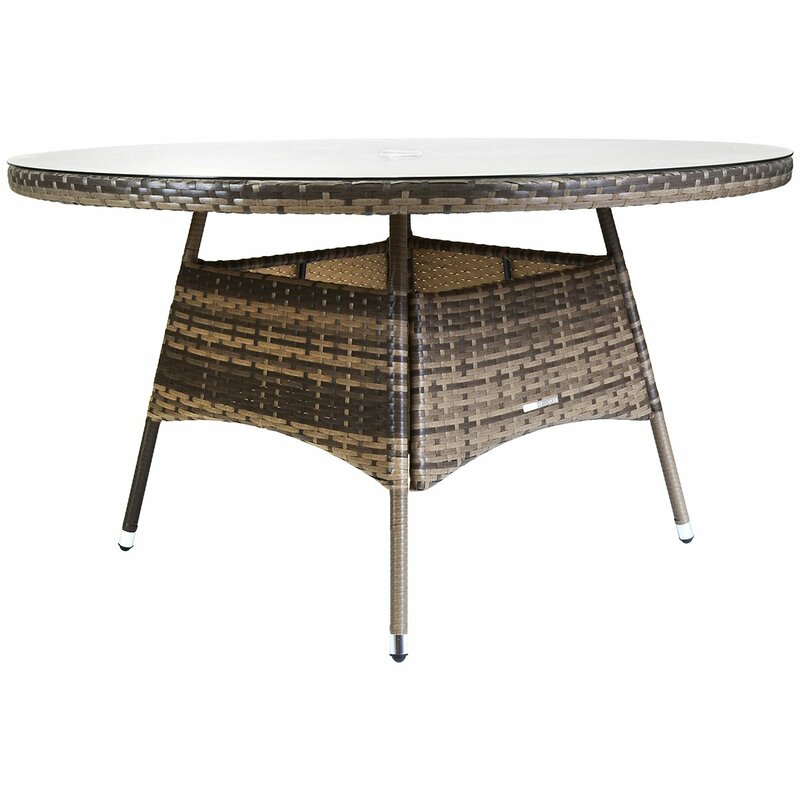 Large enough to seat up to 6 people, this table is crafted from a highly durable variegated flat weave rattan. 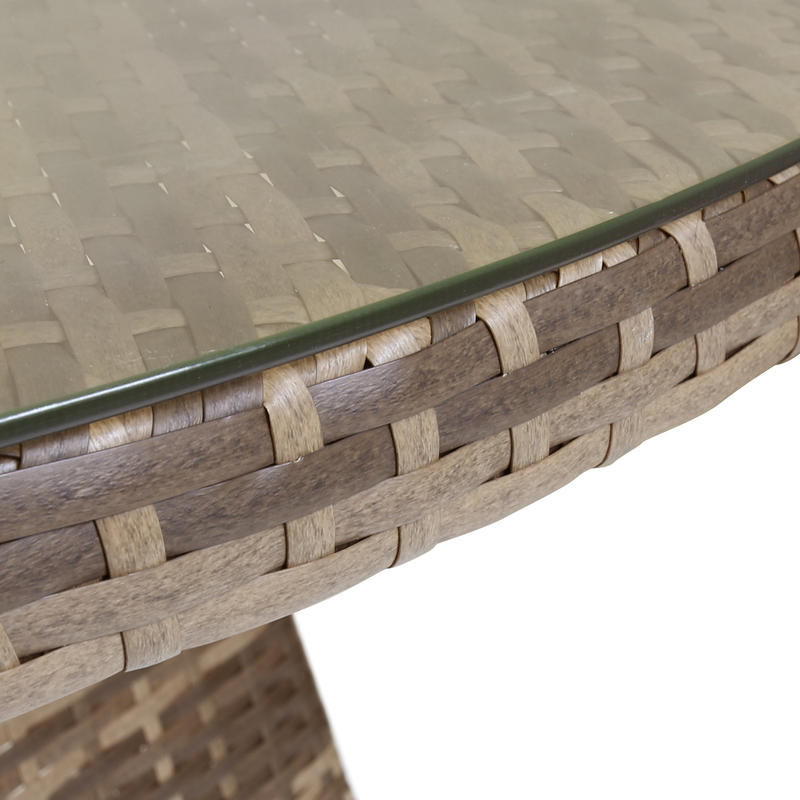 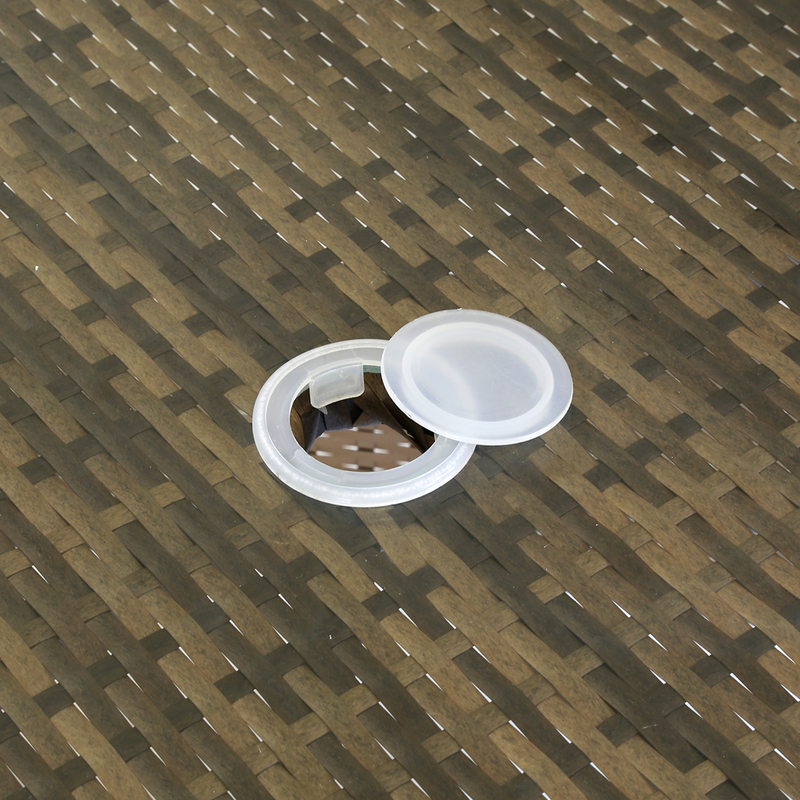 Finished with a tempered glass table top for added durability, theres also a hole for a parasol, so you can keep in the shade. 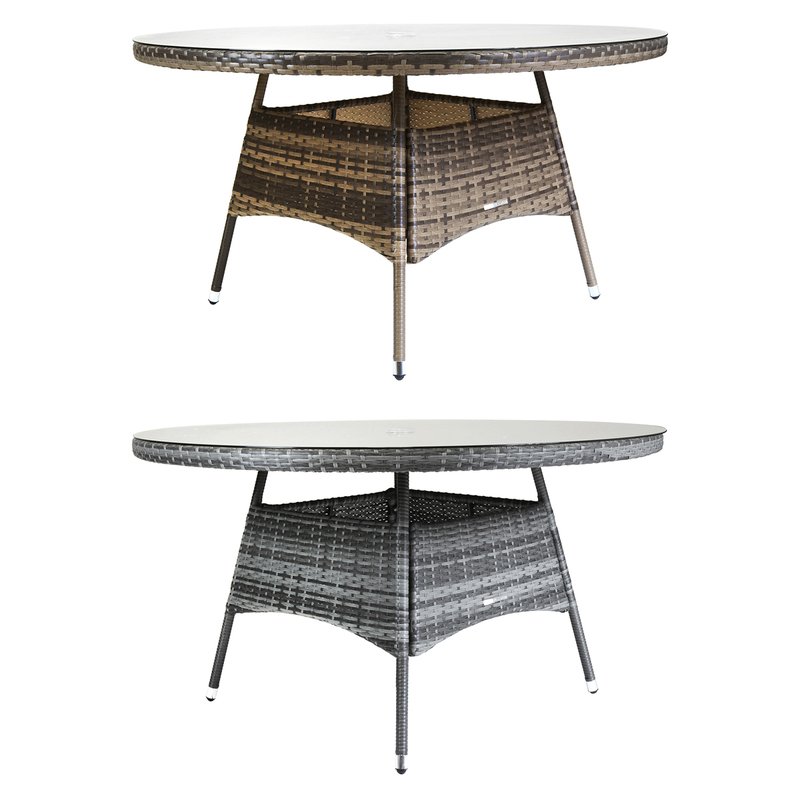 Inspired by Italian cities, this rattan dining table is available in a choice of either brown or grey and can be matched with other furniture in either of our Verona or Napoli ranges.